The first-ever wound assessment device to provide real-time imaging of bacteria distribution at the point of care. 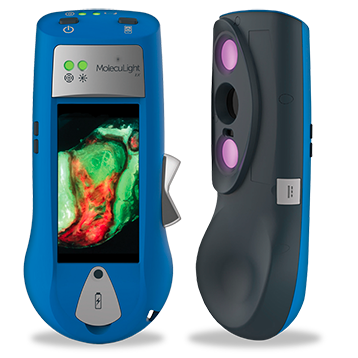 The MolecuLight i:X Wound Imaging Device allows clinicians to quickly, safely, and easily visualize bacteria2 and measure wounds7 at the point of care, so they have maximum insights for accurate treatment selection and accelerated healing. 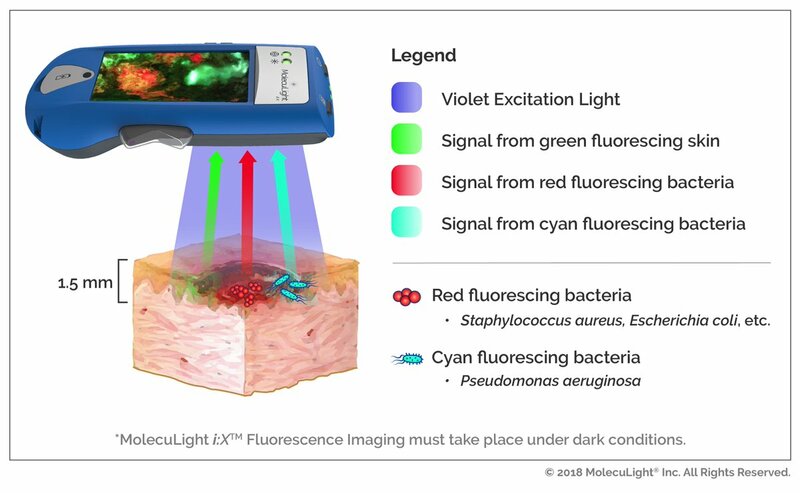 Use of the MolecuLight i:X to image for bacterial fluorescence, in conjunction with clinical signs & symptoms, adds an additional bacterial-specific piece of information that can be captured and considered in real-time. 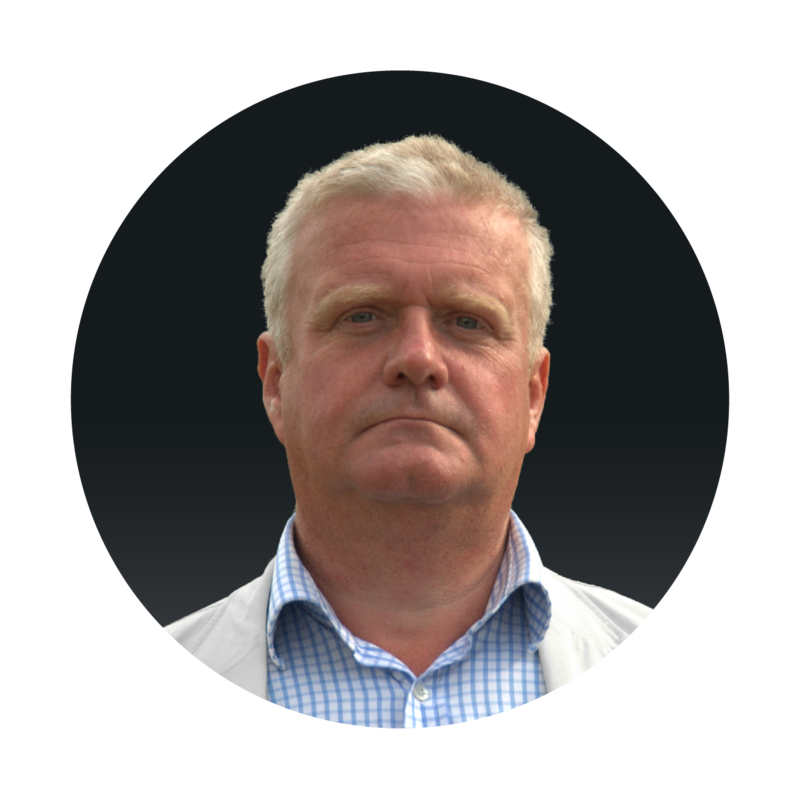 "The MolecuLight i:X has transformed my clinical decision making. MolecuLight i:X helps reveal the unexpected and eliminates guess work." 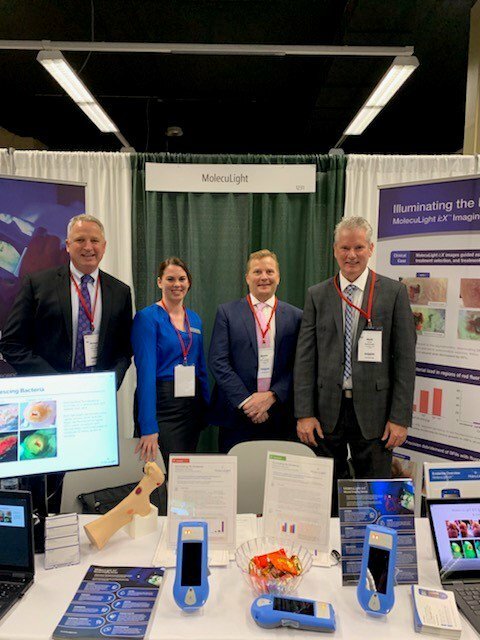 The MolecuLight Team is having a blast at the #MidwestPodiatryConference Booth #1231! 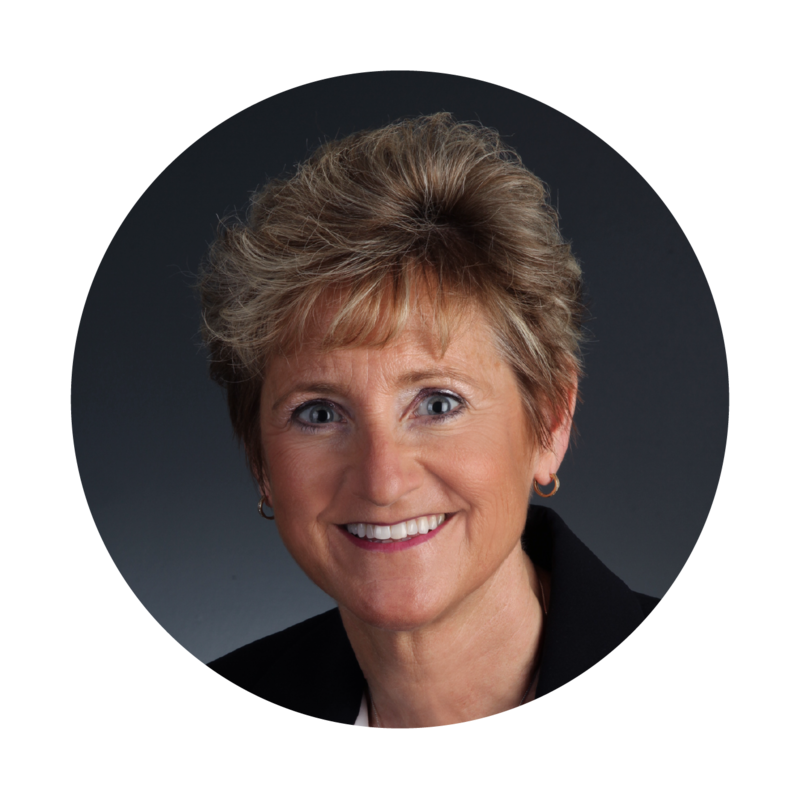 Attending the #midwestpodiatryconference? Visit Booth #1231 and ask about clinical evidence for fluorescence guided debridement of diabetic foot ulcers. Ottolino-Perry K, Chamma E, Blackmore KM, Lindvere-Teene L, Starr D, Tapang K, Rosen CF, Pitcher B, Panzarella T, Linden R, DaCosta RS. Improved detection of clinically relevant wound bacteria using autofluorescence image-guided sampling in diabetic foot ulcers. International Wound Journal, 2017, 14(5), 833-841. doi: 10.1111/iwj.12717. Jeffery S. Utility of point-of-care autofluorescence imaging device in successful closure of major limb amputations – a case study. Presented at MHSRS 2016. Proceedings of the Military Health System Research Symposium; 2016 Aug 15-18; Kissimmee, FL, USA. Dunham D, Teene L. Objective wound measurement software on a point-of-care, hand-held fluorescence imaging device: verification of measurement accuracy and repeatability. Presented at EWMA 2018. Proceedings of the Annual European Wound Management Association Conference; 2018 May 9-11; Krakow, Poland. Wu YC, Kulbatski I, Medeiros PJ, Maeda A, Bu J, Xu L, Chen Y, DaCosta RS. Autofluorescence imaging device for real-time detection and tracking of pathogenic bacteria in a mouse skin wound model: preclinical feasibility studies. 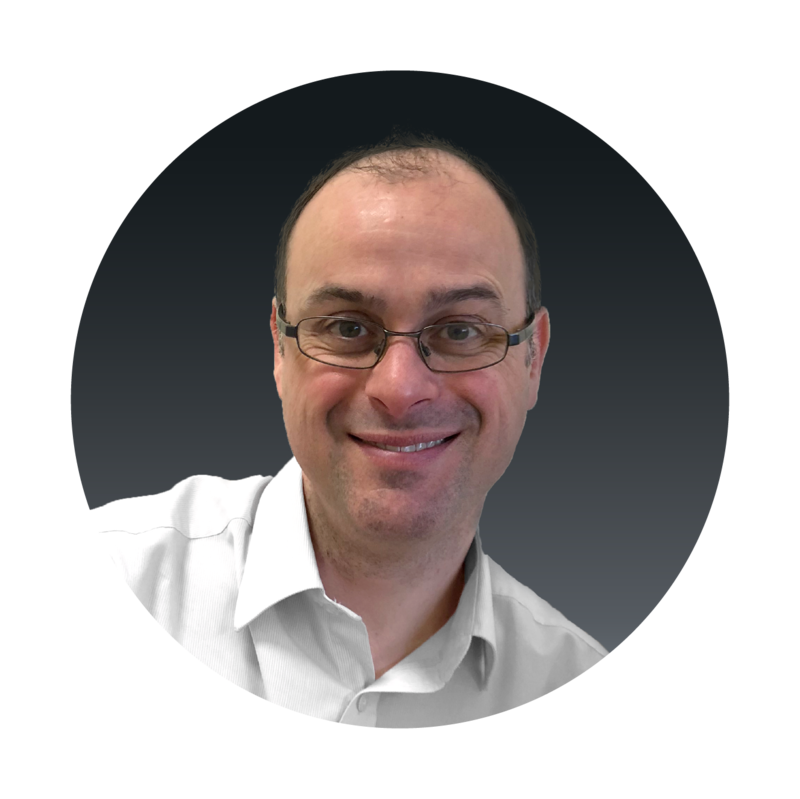 Journal of Biomedical Optics, 2014, 19(8). doi: 10.1117/1.JBO.19.8.085002. Hill R, Douglas JJ. Effect of bacterial fluorescence imaging on patient care and wound management in a hospital setting: a pilot study. Presented at SAWC Spring 2017. Proceedings of the Annual Symposium on Advanced Wound Care; 2017 Apr 5-9; San Diego, CA, USA. MolecuLight Inc. PN 1189 MolecuLight i:X User Manual. 2016. 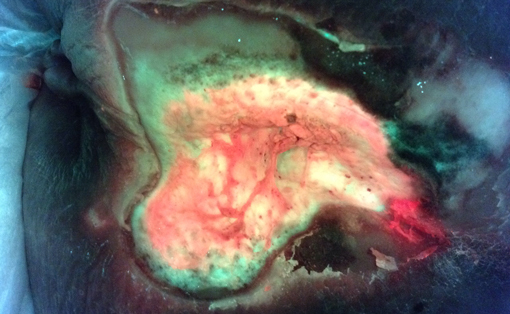 Raizman R. Fluorescence imaging positively predicts bacterial presence and guides wound cleaning and patient education in a series of pilonidal sinus patients. Presented at Wounds UK 2016. Proceedings of the Annual Wounds UK Conference; 2016 Nov 14-16; Harrogate, UK.